Walking tours. There are a few free walking tours in Paris. I can’t remember the one we went on exactly but it started at our hostel. These tours are a great way to meet other travellers and see many of the top sites in Paris. That’s where we met our super group, Jt, Katie, Liam, and Alex who definitely made our Paris trip memorable. Notre dame. So nice! This was the first of the churches that we visited and it was definitely in the top of the list. We got there bright and early after our pub crawl because we heard they had free English tours. Unless you are very very very passionate about history and religion… I WOULD NOT GO ON THAT TOUR! Our super group was so excited when the tour started.. our tour guide started out by giving a very detailed description of this one area of the outside of the building… and 20 mins later when the lady was still describing the same area, I knew if I stayed for another minute, I’d fall asleep while standing. I glanced around and saw the pain in my other friend’s faces. J caught my eye and without a word, we not so discretely slipped away to find some other adventures, abandoning our poor friends to this torture. I later found out that they only lasted another 30 minutes before they too could not take it anymore. The Louvre. 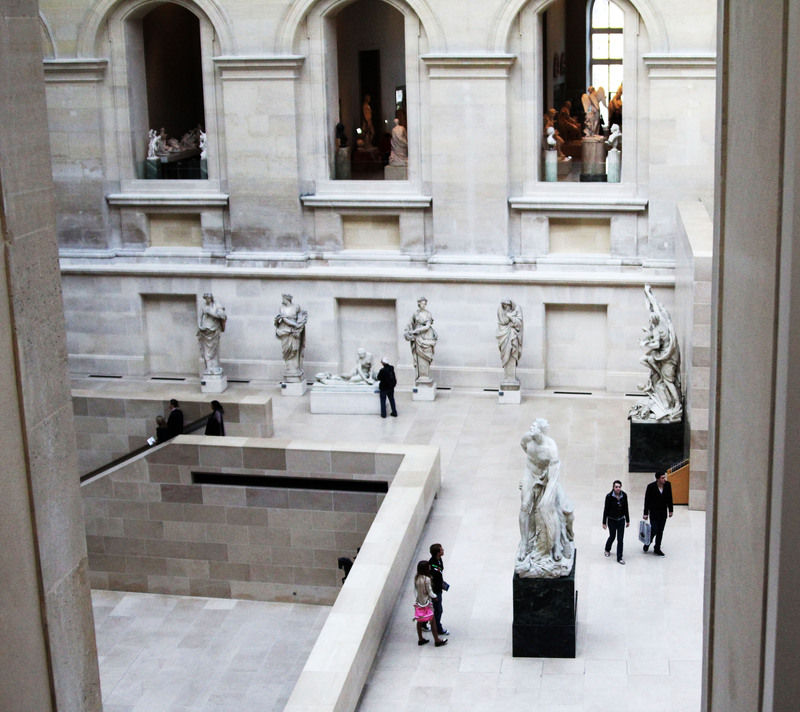 While our other friends stayed at the Notre Dame tour, J and I made our way to the Louvre. We must have the best timing because there was absolutely no line to get in. I hate to admit it but I just don’t appreciate art as much as I should. Especially being a photographer. I’m not a huge fan of museums and definitely have the mentality that if you’ve seen one naked statue.. you’ve seen them all. Don’t hate me. Luckily for me, J had a very similar mentality so we grabbed one of the booklets from the front that listed all the popular pieces and decided to hit up all the “top” exhibits in as little time as possible. To spice things up a bit, he suggested we play a game where we give the paintings new names. If there’s one thing I’m terrible at, it’s being creative on the spot. Jt who is so quick came up with names that they had me in tears from laughing. I on the other hand had the imagination of a rock and felt serious anxiety every time it was my turn to name anything. All and all, one of the best museum visits of my life. 2 Thoughts to J’adore Paris.